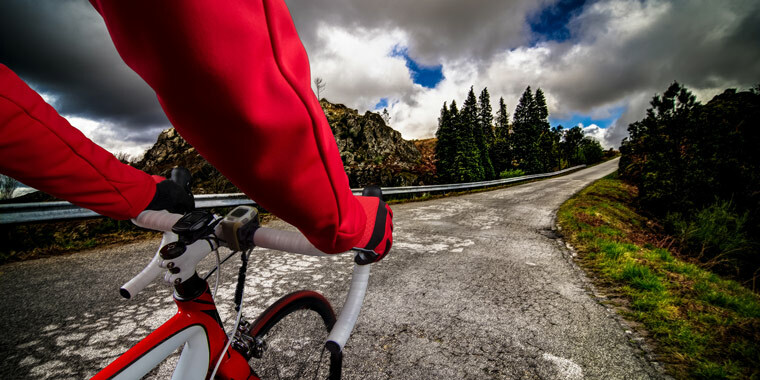 Cycling is one of the easiest ways to exerciseYou can ride a bicycle almost anywhere, at any time of the year, and without spending a fortune. Many people are put off doing certain sports because of the high level of skill that seems to be required, or perhaps because they can’t commit to a team sport due to time pressures. Most of us know how to cycle and once you have learned you don’t forget. All you need is a bike, a half an hour here or there when it suits, and a bit of confidence. Cycling builds strength and muscle tone Contrary to normal perceptions, cycling is not a fitness activity that solely involves the legs. Cycling builds strength in a holistic manner since every single part of the body is involved in cycling. Cycling builds stamina Cycling is a good way to build stamina. It is very effective in doing so, because people enjoy cycling and they wouldn’t really notice that they have gone farther the last time they went cycling. Cycling improves cardio-vascular fitness Cycling makes the heart pound in a steady manner and helps improve cardio-vascular fitness. Studies have shown that cycling to work will increase cardiovascular fitness by 3-7%. Cycling uses the largest muscle groups the legs, raising heart rate to benefit stamina and fitness. I work with a place in Santa Monica called Phase IV. My doctor recommended them to me when I started losing weight. They help people train for things like triathlons or biking and running races. They offer physical therapists, testing, lectures. What to expect Unlike a Spin bike, a road ride has low, C-shaped handlebars. Most of the time, you’ll grip the curve of the C to have access to gear shifters and brakes. By the way, pulling on the handlebars while you power uphill and bracing against them on the downhill will tone your arms and core and can help you burn 60 calories more per hour than you would in a class. As with Spinning, you’ll get a better workout with your shoes snapped into clipless pedals; these allow you to push and pull through the stroke. (You can usually wear your Spinning shoes.) If clipping in makes you nervous, ask a bike mechanic to switch your pedals to the loosest setting so slipping out is simple. Last, you’ll have 20 to 30 gears to conquer hills and cruise flats. Using resistance in the opposite way you would in class will make the going easier: Add it on declines and decrease it on inclines. To keep the calorie burn higher, aim for a speed of 14 mph. How do you monitor that? Check out our go-to gear! Act like a car Bike with traffic in the bike lane or the rightmost car lane. (In most places,illegal to ride on the sidewalk.) Always obey stop signs and red lights, and make sure to use hand signals well before you make a turn. Be defensive Make eye contact with drivers; they may not notice you if they’re looking only for other cars, chatting on their cell phone or otherwise distracted. Lock eyes and let the driver know where you’re headed, or simply let her go first.